A German court on Thursday began the trial of a 94-year-old former Auschwitz guard charged with 170,000 counts of accessory to murder. The accused, Reinhold Hanning, voluntarily joined the armed Schuzstaffel (SS) when he was 18 years old and was was transferred to Auschwitz two years later where he served as a guard at the death camp. Hanning was deemed fit for trial [JURIST report] in November. While Hanning maintains that he was assigned to the portion of the camp not involved in mass murders, prosecutors argued [Reuters report] that the gas chambers involved in the mass killings could only function with guards like Hanning. 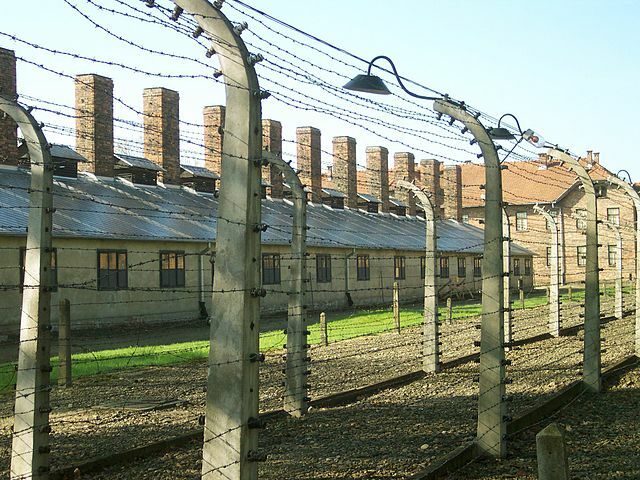 Hanning previously admitted to his involvement with Auschwitz but denied serving at the Birkenau section, which was responsible for the majority of the 1.1 million victims. This is the first trial [AP report] of four individuals allegedly involved in the mass killings expected to take place this year. German courts have recently seen an increase of war crime charges against former members of the Nazi party. Prior to 2011, German prosecutors often chose not to charge individuals they regarded as “cogs” in, rather than active members of, the Nazi war machine. In December a German court allowed [JURIST report] the trial of a 95-year-old man accused of being an accessory to the murder of 3,681 people at Auschwitz. The 2011 conviction [JURIST report] of former Nazi guard John Demjanjuk may have emboldened German prosecutors to pursue cases against all those who materially helped Nazi Germany function. The most recent person imprisoned for their role in the Holocaust was Oskar Groening. Known as the “accountant of Auschwitz,” Groening was charged [JURIST report] in September 2014 as an accessory to the murder of 300,000 people. In July Groening was given a four-year jail sentence for his role at Auschwitz, a sentence he said he would appeal [JURIST reports].